Labyrinth Canyon offers a graceful float through a bounty of southwestern vistas and red sandstone cliffs. Spectacular buttes and mesas rise over 1,500 feet above the river floor. 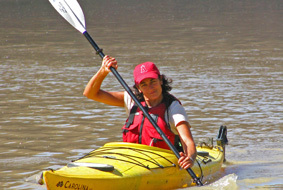 This trip is perfect for paddling your own sleek kayak or sharing a two-person kayak with a friend. Because few people travel here, Labyrinth Canyon is the perfect trip for those who want a quiet getaway.The river progresses slowly through white, yellow, brown and red canyon walls with hairpin switchbacks accented by towering buttes and mesas rising 1,500 feet above the river. "Will five days be enough time here?" 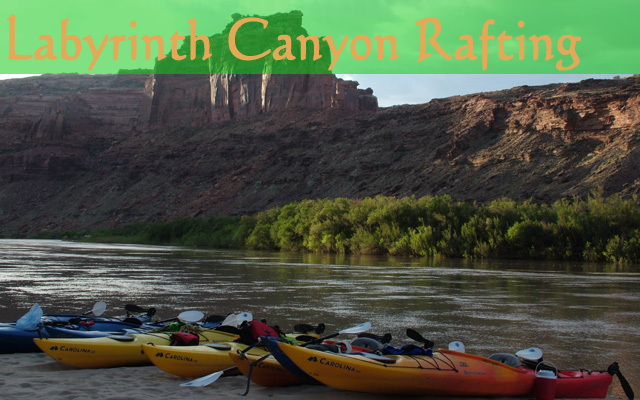 A women-only adventure into this beautiful canyon on the Green River. No experience necessary. This trips is a 60-mile river journey beginning near the town of Green River, Utah, where the Green River flows gracefully into Labyrinth Canyon, the longest stretch of un-dammed flat water in the Southwest.